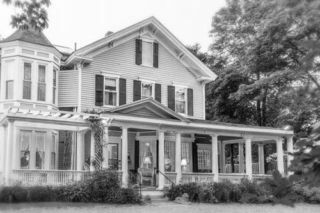 Mira Monte Inn took it’s place in Bar Harbor History in 1864 when Orlando Ash began construction. Mr. Ash was the son of Benjamin Ash who came to this island from Gouldsboro in about 1820 having bought all the land from the shore near the bar to the mountains. The Ash brothers were early entrepreneurs – they cut the trees, sold the logs and built houses on the cleared land. By the time the trees were cleared, the Hudson River artists had discovered this island. They sold their paintings back in New York and Philadelphia and became Mt Desert Island’s first marketing ambassadors. Their tales of the great beauty and wonderful climate enticed the wealthy industrialists to make the long boat trip “downeast” to Eden. This summer escape was truly an escape; the heat, humidity, and disease of the mid Atlantic summer months – without electricity, air conditioning or cooling breezes-made life there nearly unbearable. Mt Desert Island’s pleasant day temperatures and cooling sea breezes at night indeed seemed like Eden (which was the early name of Bar Harbor). Since they spent the summer here once they arrived, they needed to rent living quarters. Orlando built the house for himself and his wife, but they only lived there in the fall, winter and spring. In the summer, they went to her home on Gott’s Island, and rented their home –which they named Ash cottage-to the wealthy summer visitors. In the attic, one can see that they first built a two-story building, then they added a wing (which today holds the dining room and the kitchen); the third year saw construction of the ell which today holds bedrooms, but which then held servants’ working and living quarters. In 1890, after having rented for several years, the Chapmans, a Philadelphia “main-line” family, bought the building from Orlando Ash. They promptly added the Greek columns and renamed it Mira Monte. This means “behold the mountains” in Spanish and in Italian. In those days of Bar Harbor History, there was a rolling meadow between Mt Desert Street and the mountains. Today we can see them only when the leaves have fallen. Marian Burns, a Bar Harbor native, purchased the property in 1980. She thought that a building that had a name for almost 100 years should be allowed to keep it. So, she called it Mira Monte Inn. When renovating the back of the ell, the carpenters found a signed board that said “1868”. All Maine workers traditionally signed and dated their work. 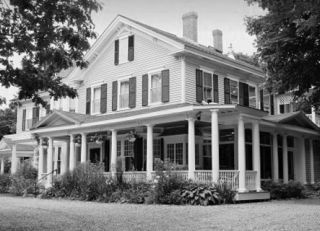 Today Marian Burns’ family continues her legacy of running Mira Monte Inn and being a part of Bar Harbor History. Mira Monte Inn was built in 1864 as a summer cottage by a prominent member of the resort town of Bar Harbor. The Inn is located in the center of Bar Harbor Village, which is included in the National Register of Historic Places.